The final rounds have arrived from the 2016 Vital BMX Game of BIKE. 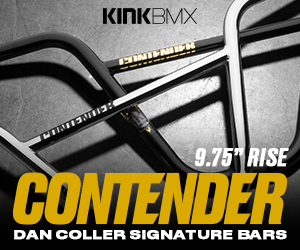 This year Dennis Enarson went up against Pat Casey to see who would take the top spot and who would land in 2nd. Hit play and watch it all pan out. Below you can also find the 3rd place game between Nick Bruce and Colton Walker. “Here it is…the championship match of the 2016 Vital BMX Game of BIKE between Dennis Enarson and Pat Casey. Watch it! The field has narrowed down to four riders. For round 3 of Vital BMX‘s 2016 Game of B-I-K-E contest, we have Dennis Enarson VS Colton Walker and then Nick Bruce VS Pat Casey! Who will we see in the final? Hit play and check out what went down! “Round three of the 2016 Vital BMX Game of BIKE gets started with Colton Walker going head-to-head with Dennis Enarson. Who will move on? Press play and find out! “Two of today’s top pro riders – Nick Bruce and Pat Casey – battle it out to secure a spot in the final round of the 2016 Vital BMX Game of BIKE!